*If you are low income and can't afford to attend, please contact us with enough time so we can arrange a deal if you help during the events. Instruments from different ancestral traditions including, flutes, singing bowls, gongs, voice and different rattles and healing tools used in rituals of purification around America, will be played following the purpose of the day. ​This weekend Retreat will be a great opportunity to deepen your inner work with the power of sound also to learn and walk alongside with the Animals of Power, the “Sacred Nahuals” to be able to conquer the Light within us! A weekend of Ancient Sound Healing, Dances and Ceremonies including traditional walk of the Female Labyrinth and Tribal Sound Journey! In this weekend we will dive in the process of Conscious Creation and we will envision and create the life that we want! We will explore different practices and the incorporation of what we consider “Sacred” into the day to day life. 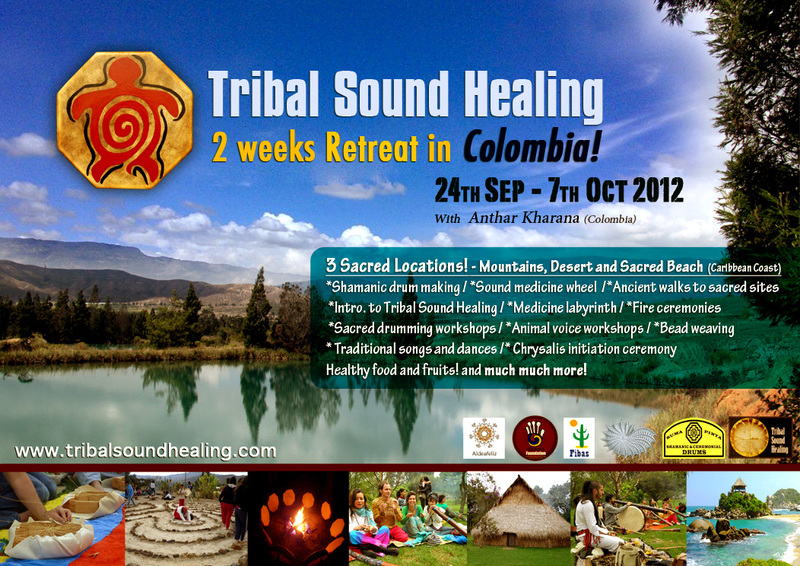 TRIBAL SOUND HEALING RETREAT IN COLOMBIA! 6th - 19th FEBRUARY 2017 (2 weeks) OUR FIFTH YEAR! This 2 week Tribal Sound Healing Retreat will take you on a journey to the second most diverse country in the world, Colombia! You will be immersed into this beautiful land in different locations with all local transport included (private bus and local flight to the caribbean coast), accommodation, materials to make your own sacred instruments, workshops, ceremonies and delicious healthy food all included!! "A Sound Legacy for the New Time"
In this public talk, Anthar will be talking about the uses of sound in the healing field and the view in our modern world. Also he will be sharing the different approaches to sound from his ancestral roots and how this have shaped into what we know today as a therapy. 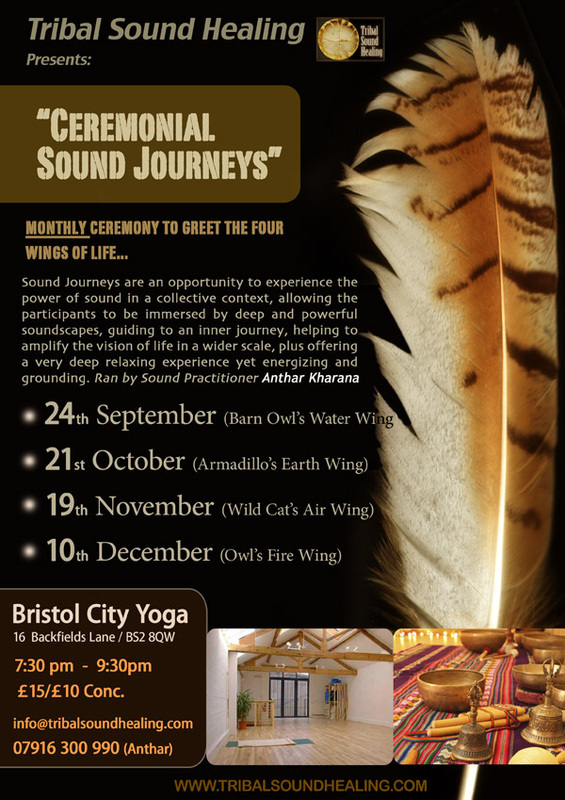 This Sound Ceremonies are held right in the Heart of London, Angel, spreading a big wave of vibrational intensions reaching many others who will received it in one way or another. 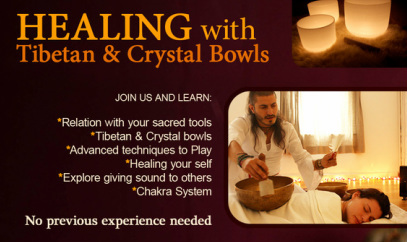 In this one day workshop you will explore the power of one of the ancient tools used for centuries for meditation, prayer and healing also known asTibetan Singing Bowls. Discover its ancient and modern uses and deepen the practice of meditation and relaxation by receiving a gentle yet powerful vibrational bath. This is another great opportunity to get together and celebrate from the heart, giving thanks to the Mother and Abuelo Fire, returning all we've been given in this past wheel of life. 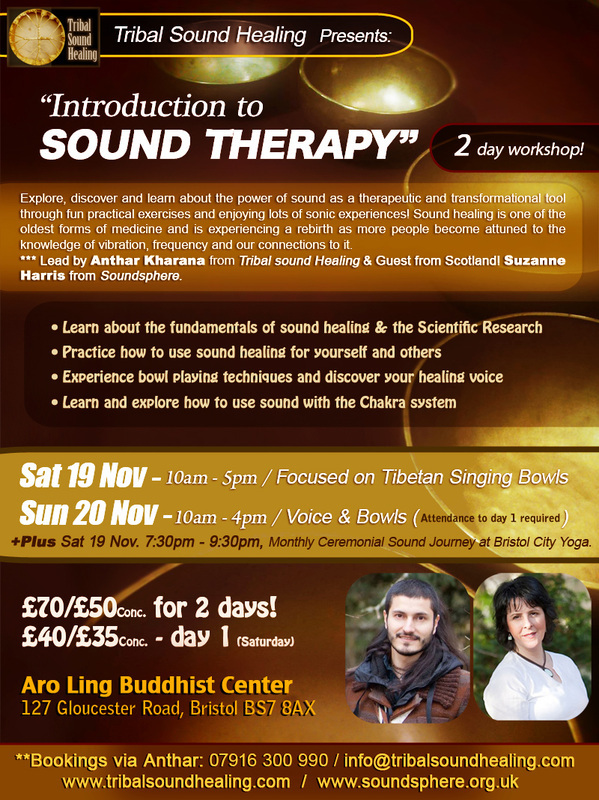 Sacred Sound Gatherings arrive to London! 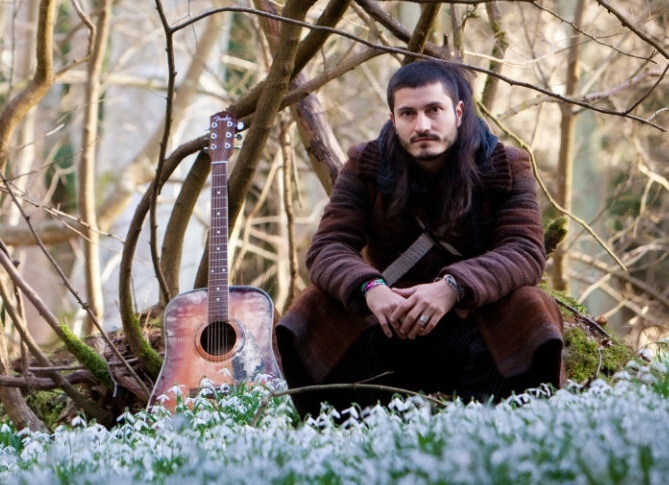 also different Sound and Ceremony Events during 2014, after a long successful tour in the UK and Colombia. 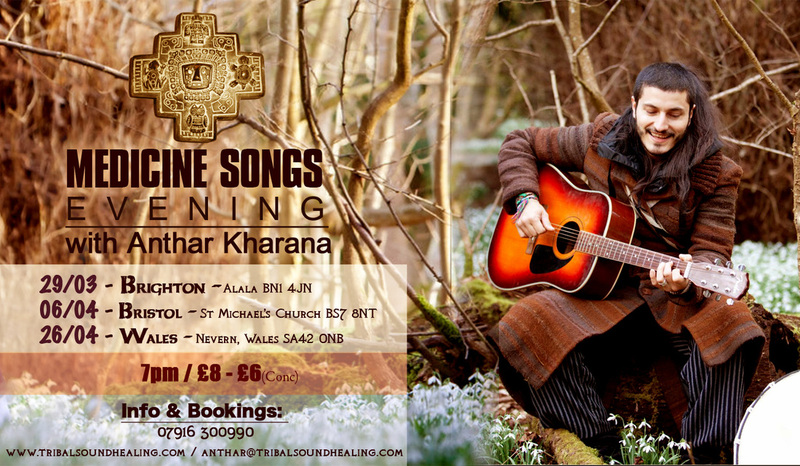 These Sacred Sound Gatherings will be offered right in the Heart of London, in Angel, lead by Anthar Kharana from Colombia. This will be a day to explore and gather in ceremony to celebrate the Summer Solstice unfolding the power of your voice! to begin or to continue your own journey of healing with yourself, practising with a partner and with a group/family. NO VOICE OR SINGING EXPERIENCE NEEDED! *Learn powerful ways to discover the mystery of your own voice. The Journey will start with a greeting to the four corners of the Heart, and a call to our Ancestors to guide us in the journey. Every months the focus of the ceremony will be emphasized on different aspects of life related to the animal medicine wheel of the specific day. 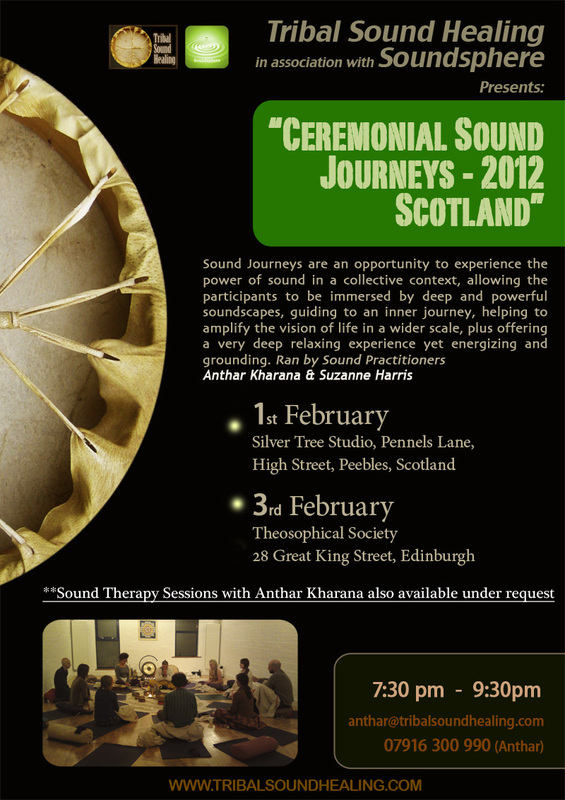 CEREMONIAL SOUND JOURNEYS IN SCOTLAND!! "The Medicine of the Americas"
The wheel continues to unfold, bringing a new chapter for 2013! A sacred wisdom from South America to awaken the sleeping memory awaiting to be recalled. 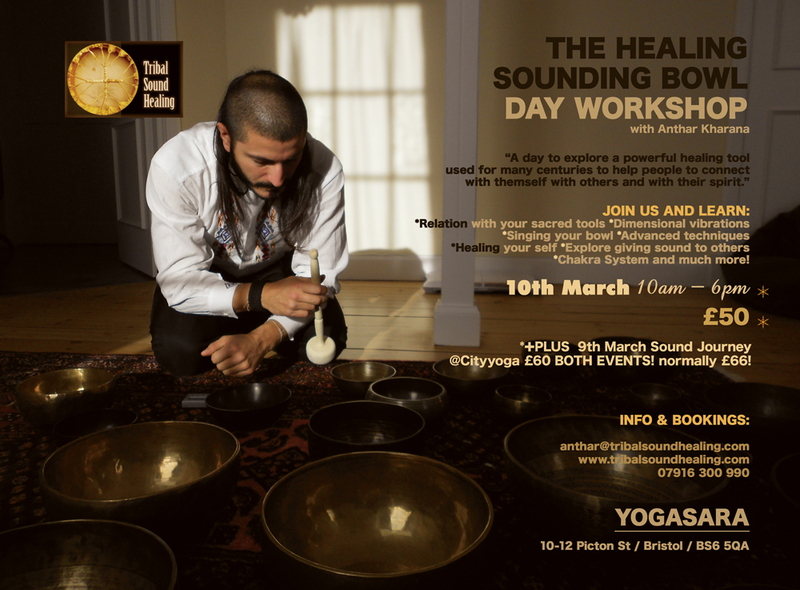 +PLUS 9th March Sound Journey @CITYYOGA £60 BOTH EVENTS! normally £66! Finally a dream of weaving two lands through sacred sound and ceremony has arrived! This 2 week Tribal Sound Healing retreat will bring you to the second most diverse country in the world, Colombia! 3 different magical locations! These include mountains and deserts in the centre of the country and a sacred beach in a paradise with warm sea and jungle in the Caribbean Coast! The Alegre drum from Colombia is made from the stunning Ceiba tree, and has a rich and diverse cultural use. This special one day workshop will teach you about this wonderful tree, the ritual of making the drum PLUS you will have fun playing traditional Colombian drum Rhythms! Absolute beginners welcome, or for those with some drumming experience.